This is the thirty-fourth post in my blog series in which I feature people I know from the community: Salesforce employees, MVPs, User Group Leaders, Partners, and honestly, anyone who I’m connected with who is willing to share with me the answers to five simple questions. I hoping that this blog series will help everyone out in the community get better connected to others who are either like them, can help them, are nothing like them, can’t help them, or are simply people they haven’t met yet! After all, a stranger is simply a friend you don’t know yet. For me, one of the greatest strengths of the Salesforce Ecosystem is its people and the connections that are shared. So, if you are brave enough, even if you’ve never met me in person, fill out this form and I’ll feature you in an upcoming post. (In case I have confused anyone, the questions on the form about our relationship refers to you, the reader, and me, the author, Eric Dreshfield, and not the featured person in this post.) Just beware, by completing the form, you are giving me permission to use that information in a future post, as well as allowing me to interject some of my own thoughts into your responses! And now I introduce the Co-Leader of the New York City Women in Tech Group , Selina Suarez. Bacon or sausage? It’s bacon, or nothing! You can find Selina on Twitter. This is the thirty-third post in my blog series in which I feature people I know from the community: Salesforce employees, MVPs, User Group Leaders, Partners, and honestly, anyone who I’m connected with who is willing to share with me the answers to five simple questions. I hoping that this blog series will help everyone out in the community get better connected to others who are either like them, can help them, are nothing like them, can’t help them, or are simply people they haven’t met yet! After all, a stranger is simply a friend you don’t know yet. 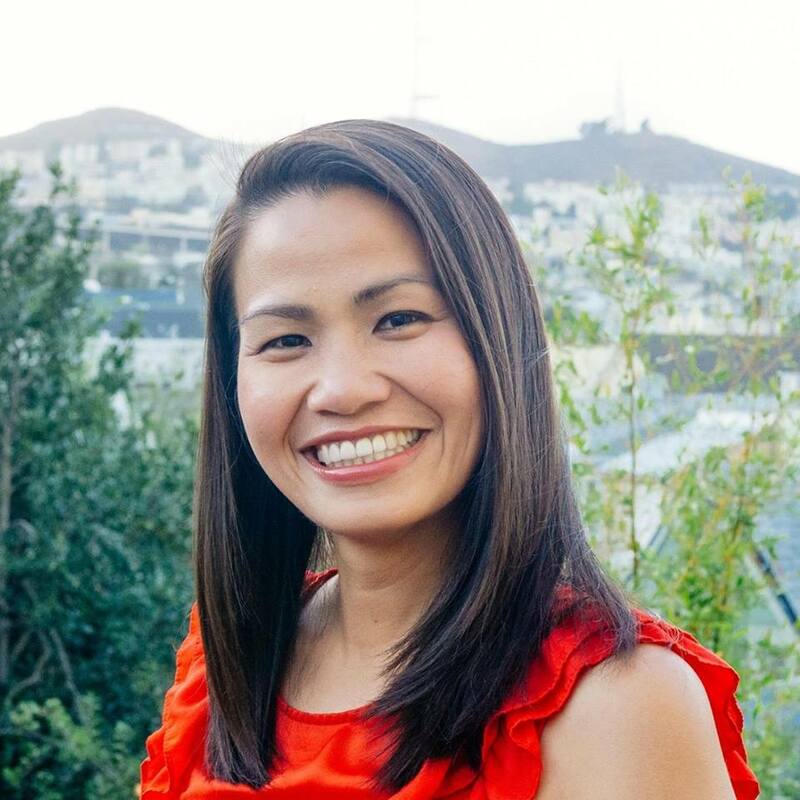 And now I introduce a newcomer to the Salesforce Platform and Community, Founder & CEO of Magpie Travel, Huong Tran. Bacon or sausage? Can’t I have both? Don’t make me decide! You can find Huong on Twitter as @huongtdt and @perchtravel. Be sure to also check out Perch Travel’s Dreamforce contest! This is the thirty-second post in my blog series in which I feature people I know from the community: Salesforce employees, MVPs, User Group Leaders, Partners, and honestly, anyone who I’m connected with who is willing to share with me the answers to five simple questions. I hoping that this blog series will help everyone out in the community get better connected to others who are either like them, can help them, are nothing like them, can’t help them, or are simply people they haven’t met yet! After all, a stranger is simply a friend you don’t know yet. And now I introduce the four-time Salesforce Certified, Leader of the Noida, India, User Group, Vinay Chaturvedi. Bacon or sausage? Eww. A pork product? No thank you! You can find Vinay on Twitter. Want to Attend Dreamforce 2016, and Help Homeless Children at the Same Time? If you had the chance to do something (that you do every year) and help a great cause at the same time, would you do it? Yes, that was a rhetorical question, but do me a favor, answer it anyway. I’m now announcing the 2016 edition of “Attend Dreamforce, Help a Homeless Child” contest. One lucky winner gets a free pass to attend Dreamforce* and many homeless children get a NightNight pack from Project Night Night. *Conference fees only, sorry – travel and other accommodations are the responsibility of the winner. Do you still need a pass to Dreamforce? Do you want to help children have sweeter dreams at the same time? If you answered yes to both questions, please place your bids here. To see the current high bid, follow me on Twitter and search for #DF16ProjectNight2X_HIGHBID. The bidding will close at 11:59 PM on Friday, September 2, 2016. URGENT UPDATE: Because Salesforce expects Full Conference Passes to sell out sometime during the week of August 29th, no bids will be accepted after 11:59PM Central Time on Saturday, August 27, 2016. The winner will be notified by 11:59PM Central Time on Sunday, August 28, 2016, via email or telephone. If you happened to answer the first question with a no, please visit Project Night Night and consider making a donation. Either way, please follow Project Night Night on Twitter and support their cause with prayers!